runjoey: The Championship that almost wasn't. The Championship that almost wasn't. I'm making final preparations for my trip to Huntsville Alabama's Cotton Row 10k which will be held on Memorial Day, Monday the 28th. It is the last race in the Running Journal Grand Prix Racing Series which began the last weekend of August 2017 consisting of 8 races in the Southeast. As many of you know, I already have enough points to win the Senior Grandmasters Division without this event but there is no way I was going to miss going to this one. I've worked too hard and raced too hard and traveled way to much to let this opportunity pass me by, especially looking back now at how close I came to not even competing. 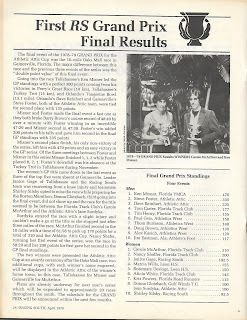 I have been following the series since the 1st year it started as the Racing South Series in 1978. 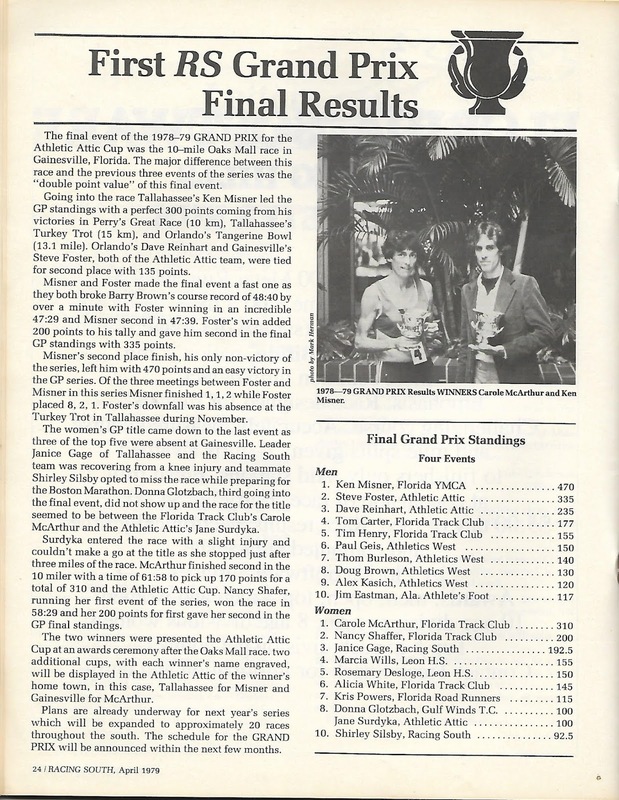 At that time it was only an open division series and the winners were a who's who of southern elites in the six States in the coverage area, NC, SC, TN, FL,GA and AL. Later more States were added, MS and LA, then ARK, KY, VA and WV and a Masters division was created. Eventually Grand Masters and then finally Senior Grandmasters were added as the running boomers of the 70's had all aged up. By that time I was solidly into ultra running and although I had the desire to compete in the series it made no sense and never fit my schedule. But it was always something I wanted to do and I kept it in my mind that someday I was going to see if maybe I could at least earn a few points in a few of the races and maybe show up in the standings in the magazine but the thought of winning any of the races, let alone the series was something I didn't think was even a remote possibility. I was not accustomed to podium finishes very often but the points went 8 deep in age groups for the series. Funny how life can change ! And suddenly with no warning ! It seems everything was crashing down. Life totally blindsided me a few years ago and to add injury to insult, I had one hip or glute injury after another on top of that. In spite of it all I was determined not to give up and used the pain and setbacks as extra motivation to comeback each time stronger than ever. After being injured pretty badly and still trying to run Western States 100 in 2015 nearly crippled I really screwed up my hamstring and I knew I had to heal completely. Time off and yoga finally did the trick but I also decided it was time to take a break from the long distance stuff and focus on shorter racing. I went into 2016 strong and healthy and began running times at the shorter distances that I never imagined focusing on lowering my mile time and then entering some RRCA State Championships. I went into 2017 in awesome shape winning the State 5k and had my sights set on finally competing in the series in the Fall. And then WHAM, a freak injury started from yard work that soon developed into a heel stress fracture ! Time dragged on but the pain still lingered and there was a lot of soft tissue damage in the bottom and side of the foot. After two months still no thought of even trying to run. I knew it was serious and promised myself I would'nt even try to run until I had at least 10 days of no pain. Finally after 12 and a half weeks at the end of May I was able to run 1 mile pain free. But the series was not looking good. I only had 3 months to get back into shape and I would have to build back slowly because although I was healed it was going to take some time for the foot and tissues to regain the strength to handle hard training and racing. The schedule for the upcoming season was released in June but I had my doubts and was only up to 15 miles per week and a long ways from my condition prior to the injury. As always I discussed the situation with my BFF, former running partner, current yoga buddy and teacher and daily inspiration Laura and expressing my doubts as to whether I should try it or wait until the next year. As I knew she of course said I should go for it and had no doubts I could make it happen. Its awesome having a friend that believes in you sometimes more than you believe in yourself. And of course she was right. I had to go for it. I was just going to have to race myself into shape and it would help that after that first race in August I would have about 6 weeks before the second race. But I'll save that in the season wrap up after the Cotton Row Run ! Stay tuned sports fans !